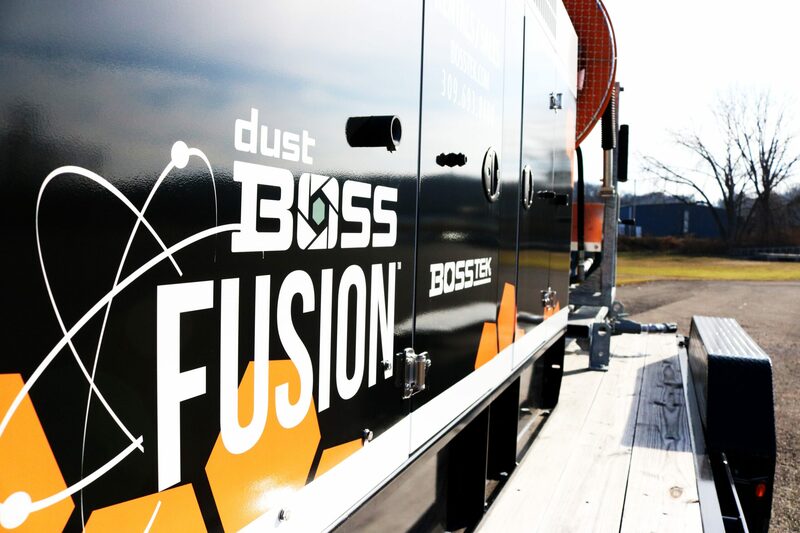 A global innovator in dust and odor control technology has updated its family of self-powered dust suppression equipment with Tier IV Final-compliant generators, ensuring compliance in all 50 states. 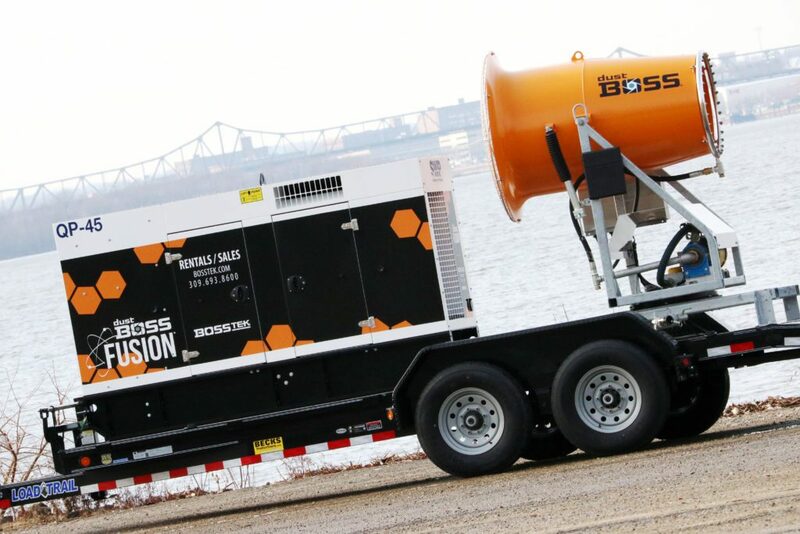 BossTek made the announcement with the debut of the new DustBoss® DB-60 FusionTM, a field-proven suppression system driven by a high-reliability 25 HP electric motor and paired with a gen set powered by a heavy-duty 4-cycle indirect injection diesel engine. 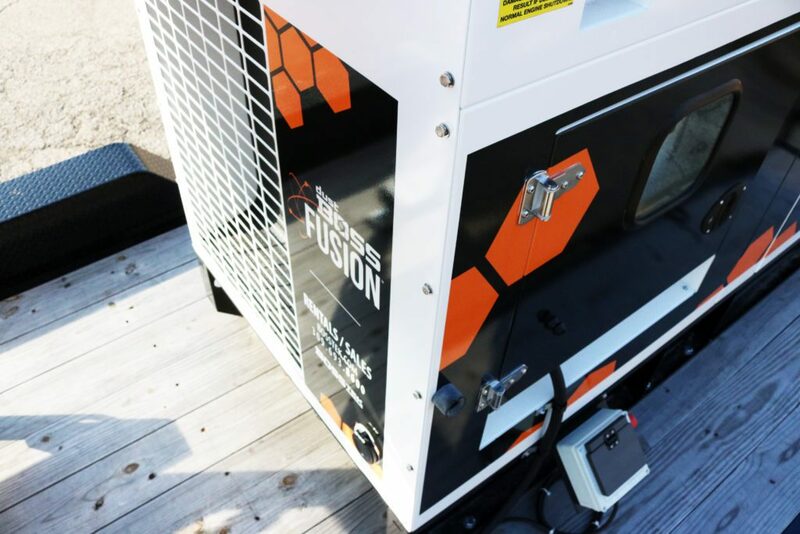 Designed, engineered and assembled in the USA, the generator features a dual-containment fuel cell, heavy gauge lockable enclosure and oversized brushless alternator for easy starting. The new generator series is designed with sound attenuation for excellent noise reduction and a multi-voltage switch with utility power outlet in all voltage modes. 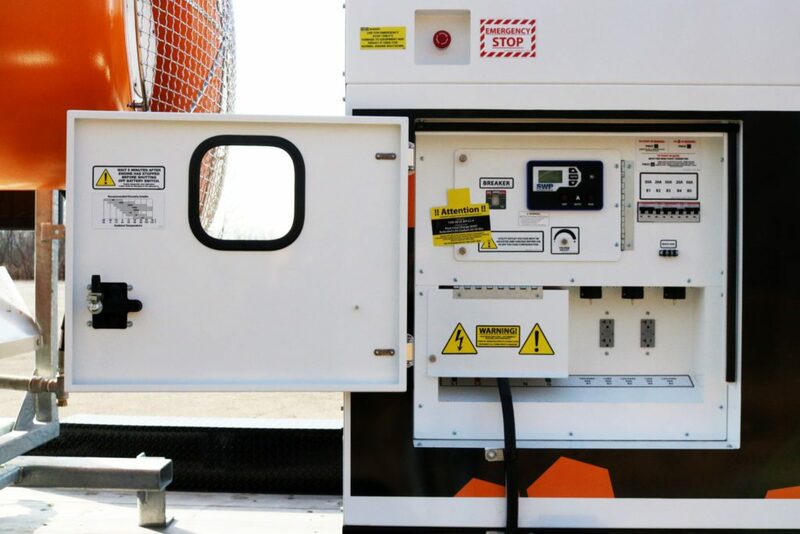 The digital engine / generator controller is equipped with single button stop / start and an 80-gallon fuel capacity, giving the units a run time of more than 24 hours at a prime rating of 45 kVa. 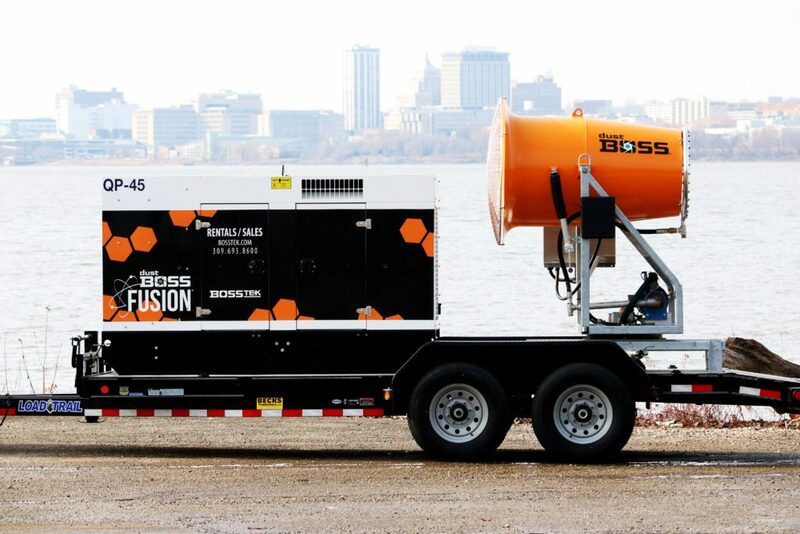 Like its previous Fusion systems, BossTek warrantees the DB-60 Fusion for three years / 3,000 hours, with 5-year / 5,000 coverage on the electric motor and a 2-year / 2,000 hour warranty on the generator. “Maintaining air quality is essential for communities near a demolition project, mining operation or other bulk material handling activities, but even in places with little infrastructure, dust can choke worksites and foul equipment,” said Project Engineer, Jason Lesch. The demand for atomized mist dust suppression technology has increased since air quality inspectors now test for smaller, non-visible particle sizes (<10 microns in diameter or roughly the size of pollen). These particulates can leave the site line and expose the surrounding community to potentially hazardous respiratory issues. Previously, industries like demolition contractors, bulk product storage (coal, ash, scrap metal, etc.) and ports have controlled dust by applying surface suppression using water sprayed from hoses, which create droplets from 200-1000 microns in size. But over time, operators have discovered that in order to control dust emissions, droplet sizes must roughly match the size of airborne particulates, which hoses cannot accomplish. 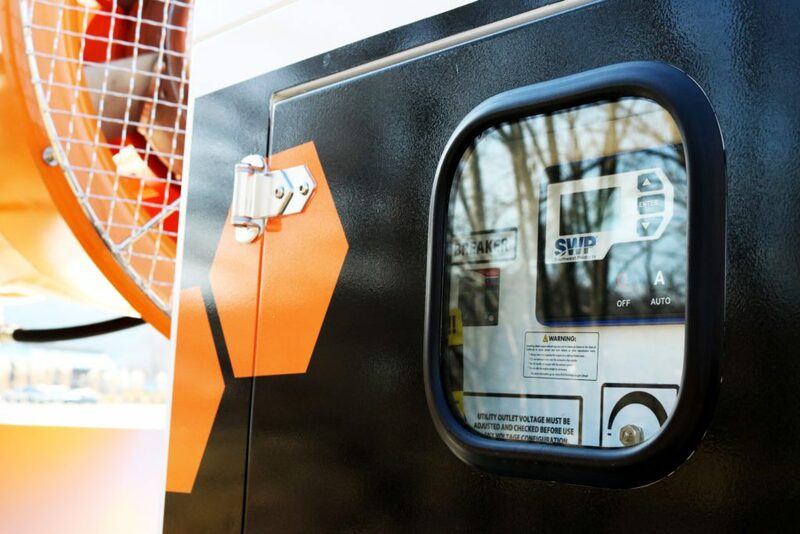 Tier IV-compliant engines are designed to significantly reduce emissions of particulate matter (PM) and oxides of nitrogen (NOx) to near zero levels. Relative to previous emissions standards, Tier IV-compliant engines reduce emissions by over 95 percent for most agricultural and construction equipment and just over 86 percent for much larger applications such as locomotives and marine vessels. The Tier 4 emission standards are roughly similar to emission reduction requirements for engines that power heavy-duty trucks. The DB-60 Fusion™ drives pressurized water through a circular stainless steel manifold with 30 atomizing spray nozzles, then launches millions of tiny droplets with a powerful fan that produces 30,000 CFM (849.50 CMM) of air flow. Atomized mist droplets of 50 to 200 microns in size are thrown out in a 200 foot (60 meter) cone at an adjustable 0 to 50° elevation angle, capturing airborne dust particles and dragging them to the ground. Unlike industrial sprinklers used for the same purpose, which can require hundreds of gallons of water per minute, the DB-60 only uses about 23 GPM (87 LPM) to help avoid pooling or runoff. This entry was posted in Blog, DB-60 Fusion, DustBoss, Fusion, News. Bookmark the permalink. Both comments and trackbacks are currently closed.